Welcome... It's time to hop along with the super fabulous Control Freaks group! This month's theme is "Love is in the Air". I love making Valentine's projects to help get us through the doldrums of winter. You've probably arrived here from Mindy's blog. Her projects are always so lovely! As soon as I saw Going Global in the Occasions catalog, I immediately thought of a masculine Valentine's day card. I tried several different color combinations and papers for the "Love" banner and settled on watercoloring with Mossy Meadow ink. I love the soft look of it. I created this card a couple dozen more times for the Control Freaks swap. 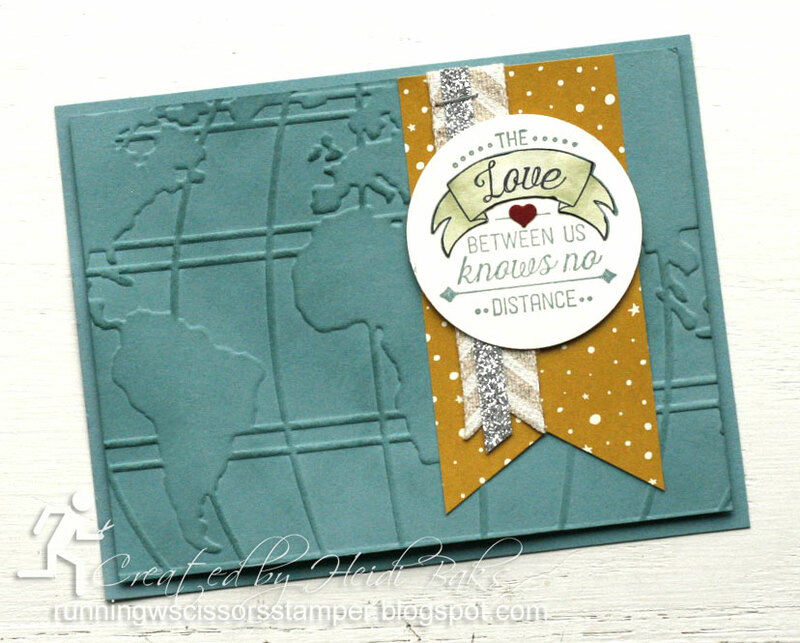 For the background, I embossed with the World Traveler embossing folder, and then highlighted the texture by sponging. Tip: Make a perfect diagonal cut on the Glimmer strip every time by placing it in the Triple Banner punch. So easy! Stamps: Going Global; Paper: Lost Lagoon, Cherry Cobbler, Very Vanilla, Going Places DSP, Silver Glimmer; Ink: Lost Lagoon, Mossy Meadow, Basic Black Tuxedo; Accessories: Chevron ribbon, Mini Stapler, Triple Banner punch, 2" Circle punch, Confetti Heart punch, Aquapainter, Sponge, World Traveler EF, Big Shot. Here's another masculine Valentine's card, this one for stamp club, combining the Sale-a-Bration set Sky Is the Limit and Occasions Going Global. 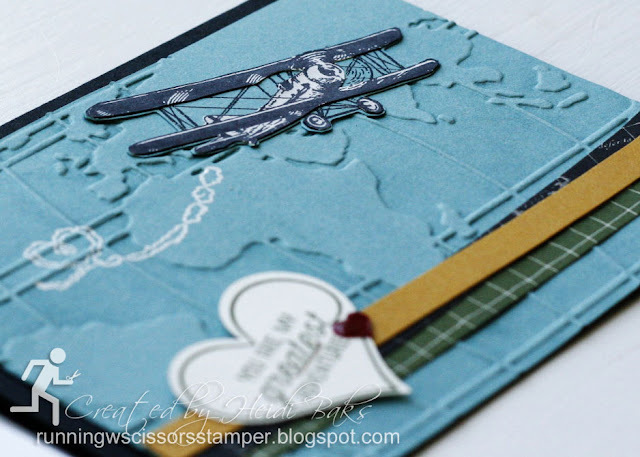 I tried several different ways to darken the water vs. continents on the World Traveler embossing folder and settled on brayering the folder (on the side with the Stampin' Up logo) with Versamark. Brayering gives even folder coverage without too much inking on the recessed continents, although I did a quick wipe-down of the center of the continents with a paper towel before running it through the Big Shot. Don't forget Sky Is the Limit is only available through February 15, so hurry to grab yours! Stamps: Sky Is the Limit, Going Global; Paper: Delightful Dijon, Lost Lagoon, Cherry Cobbler, Basic Black, Very Vanilla, Going Places DSP; Ink: Mossy Meadow, Smoky Slate, Basic Black Archival, Versamark; Accessories: Crystal Effects, Mini Stapler, White EP, Confetti Hearts border punch, Sweetheart punch, Aquapainter, Brayer, World Traveler EF, Big Shot. 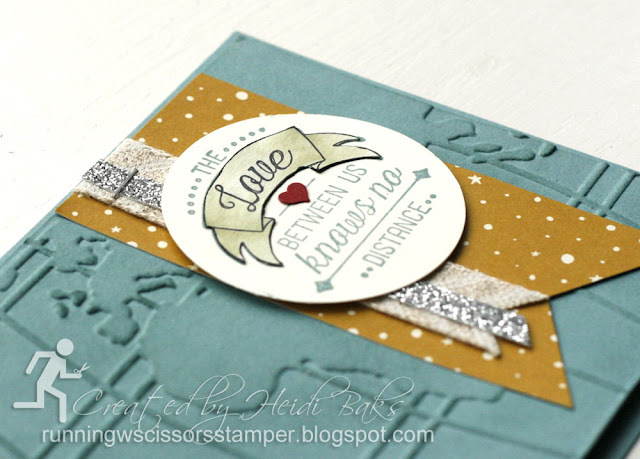 Jump over to the amazing LeeAnn Greff's blog to check out what fabulous ideas she has for us. Wow you created a couple dozen of these masterpieces? 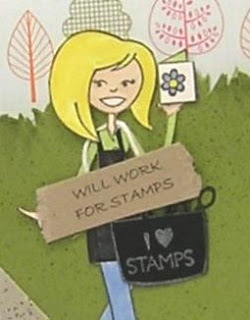 You are a stamping machine girl! I love these cards! The sponging adds so much to the card! 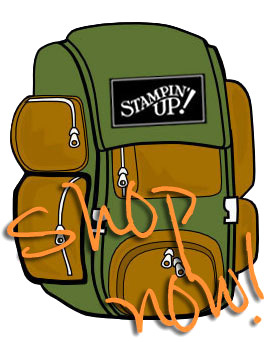 I've been resisting that stamp set and embossing folder...and you're not helping! ;) Great cards! The sponging makes a big difference, will have to give it a try. Nice cards Heidi! Oooh, that sponging really does highlight the details of the embossing folder - very nice! These are my two favorite sets from the new minis! :D I LOVE the colors you used and the layouts!! Fabulous masculine cards Heidi. Love all the layers and texture!